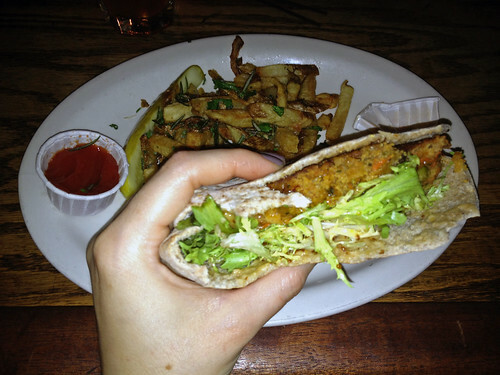 Yum Veggie Burger: Happy Birthday, Blog! YumVeggieBurger just turned three years old! ...two days ago, that is. But I was working on a film shoot and got distracted and didn't remember until today. Oops. Happy Belated Birthday, anyway! This has been a big milestone month for my blog - first my 100th post, and now celebrating 3 years of blogging about veggie burgers! I recently ate that same veggie burger at Sparrow Tavern again, and I can happily say three years later it is still delicious!